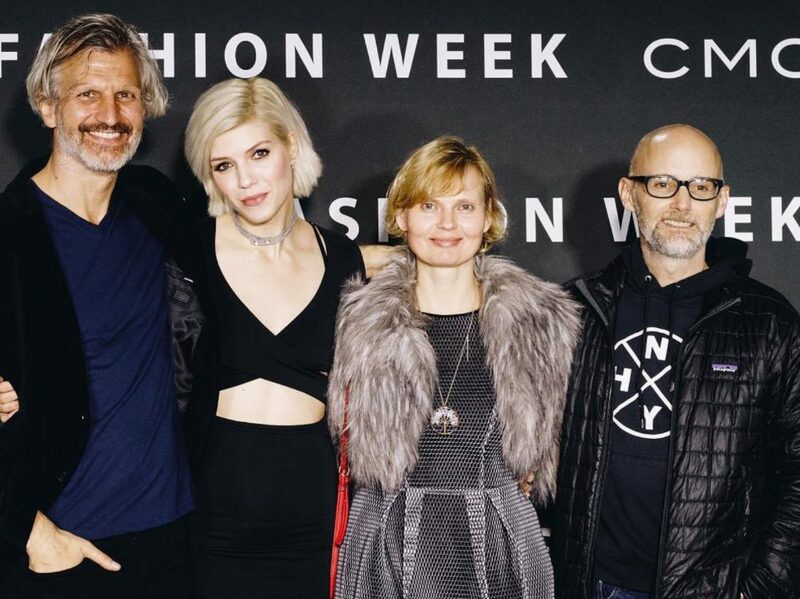 Vegan fashion was taken to a whole new level this week when innovative materials and creative cruelty-free designs were celebrated during the first-ever Vegan Fashion Week in Los Angeles – the perfect setting for such an event, as the city recently banned all sales of fur, along with foie gras and animal-tested cosmetics. Organized by fashion stylist and animal advocate Emmanuelle Rienda, the event started with an opening soiree on February 1, where industry professionals and influencers came together to mingle. The vegan style extravaganza continued with an exclusive fashion show on the following day. The ground-breaking runway show boasted musician and activist Moby as one of the guests and introduced its visitors to creations in Pinatex – the biodegradable, eco-friendly vegan leather alternative made from pineapple leaf fibers that has been taking the fashion world by storm – as well as designs made from apple skin and shoes in fabrics derived from melted corn. The models parading down the runway came from the vegan model agency Margaux. After showcasing styles ranging from biker jackets and faux-leather dresses to head-turning gala-style gowns, Vegan Fashion Week continued on its third day with panel discussions on animal rights, social justice, circular economy and intersectionality – all topics that concern the future of fashion as a more conscious and compassionate industry. Vegan Fashion Week has received international acclaim as the first event of its kind – and Emmanuelle Rienda has no plans of slowing down. Next up, she plans to take Vegan Fashion Week global, introducing the international fashion industry to designers who replace animal skins with new, sustainable, natural materials. Her long-term goals also include opening a sanctuary for the animals who are commonly used in the fashion industry. Sascha Camilli is the founder of the world’s first digital vegan fashion magazine Vilda (www.vildamagazine.com). 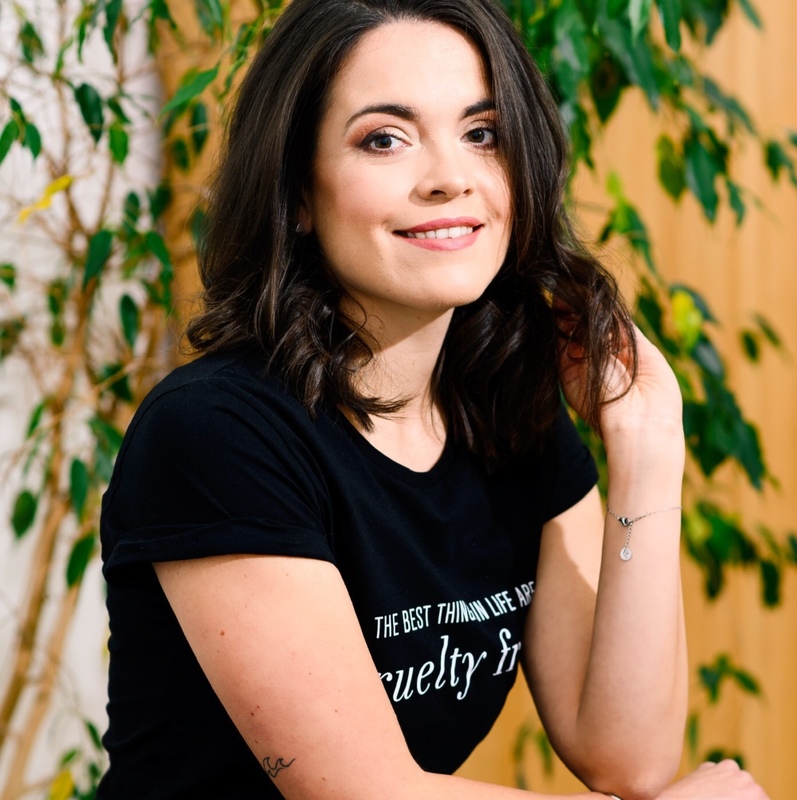 Her first book, a guide to vegan fashion and lifestyle, will be out in July.